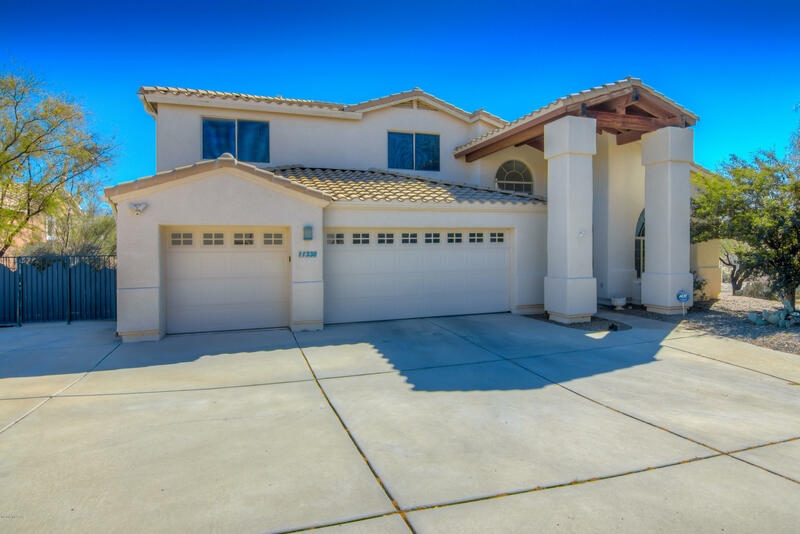 All Naranja Ranch I (1-11, 13 homes currently listed for sale in Tucson as of 04/23/2019 are shown below. You can change the search criteria at any time by pressing the 'Change Search' button below. "Wow! Fabulous Catalina views, gorgeous home, great location, 5BD/3BA, 3-car garage, pool/spa, play ground & Zin garden in your amazing private retreat in your 1.97 acre backyard! Move-in ready 3,210 SF home offers all the desired amenities: corian ctrs, cabs w/pull-outs, AND main floor guest suite! Tasteful interior palette compliments an open design w/high ceilings & windows that bring in lots of light. Formal living & dining area is augmented by spacious kitchen & family rm w/gas Fpl. Rare ea"